Captain America 3 to Open Against Batman Vs. Superman! 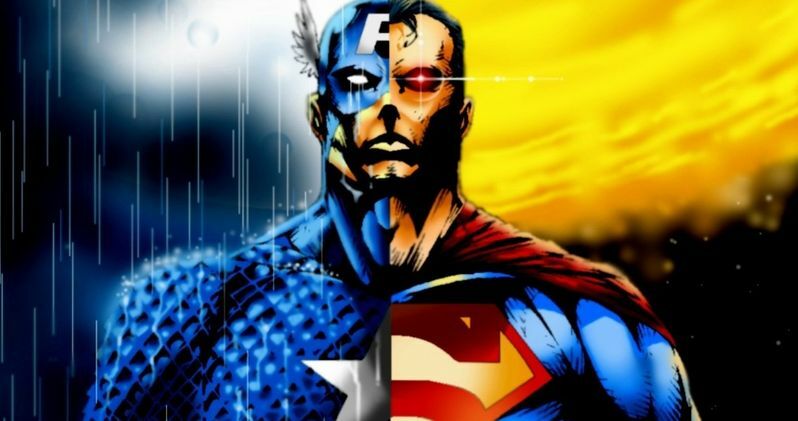 Marvel and Disney obviously have a lot of faith in Captain America: The Winter Soldier, as they position its sequel Captain America 3 to go head-to-head with Warner Bros. and DC Comics mega-blockbuster Batman Vs. Superman on May 6, 2016. /marvel-refuses-to-back-away-from-batman-vs-superman-release-date/Just today, Kevin Feige confirmed that Marvel was standing firm on the May 6 release date for one of its upcoming untitled movies, which he claimed would be announced very soon. Despite having staked out the territory first, Warner Bros. and DC Comics decided to move to that same date when Batman Vs. Superman was bumped from its July 2015 release due to production delays. Neither studio is budging in what has become one of the greatest games of cinematic chicken ever witnessed. And Marvel obviously means business, as it positions one of its biggest franchise titles to go against Kal-El and Bruce Wayne. This will certainly be one of the biggest superhero box office showdowns in history. It should be noted that not only was Marvel here first, they have built a reputation in releasing their big movies right at the start of summer, while DC has always gone for mid-to-late July. Its possible that shooting schedules and post-production could delay one of the two movies, but for now, both studios are staying put. Its also possible that DC Comics was waiting to see which movie would be announced in the May 6 slot before moving the Man of Steel sequel a second time. There are still plenty of open weekends the summer of 2016, including the first two weekends after May 6. The film begins shooting in just the next few weeks. Most box office experts strongly believe that the two movies will not open against each other, as it would be unprecedented. Though at this point, it seems neither studio wants to back off. Captain America: The Winter Soldier directors Joe Russo and Anthony Russo are confirmed to return for Captain America 3, and the story is already being worked on. If we're to believe the rumors coming out of DC and Warner Bros. at the moment, the script for Batman Vs. Superman isn't even finished yet, nine months after it was announced.